Penmarlam Quay: Penmarlam Quay is situated in Mixtow Pill, Fowey. It has become a favourite spot with visiting craft with its walk ashore access to toilet and shower facilities and a popular cafe. A recent addition to the site is Mixtow Marine, an onsite chandlery and marine engineering workshop. Access by water is straight forward with no tidal restrictions, visitors are directed to use the south side of the pontoon. Access by road is best served by the A390, although access from the Fowey side can be achieved via the Bodinnick Car Ferry. Casual access fees are payable at the entrance barrier at £10 for car only and £16.50 for car and trailer. The fee is inclusive of launching fees, Harbour Dues and car/trailer parking. 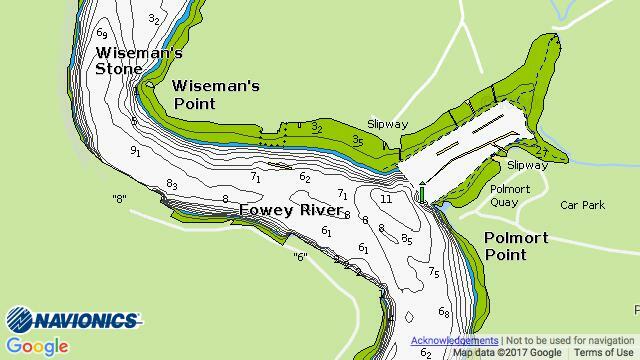 Penmarlam has a concrete slipway for self-launching of trailered boats or craneage can be arranged with Fowey Harbour Commissioners on 01726 832471.